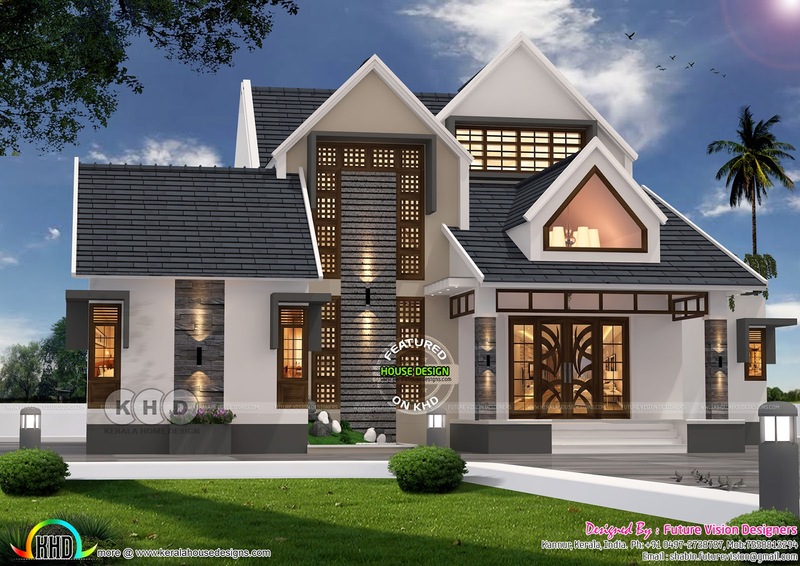 2541 Square Feet (236 Square Meter) (282 Square Yards) sloping roof house plan. Design provided by Future Vision Designers, from Kannur, Kerala. Total Area : 2541 sq.m. 0 comments on "2541 square feet sloping roof house plan"